In association with Concerts SA and Seaman’s Corner, iSupport Music Business presents Iza Ngoma live in Hammarsdale. The concert will take place at Seaman’s Corner on March 31, 2018. 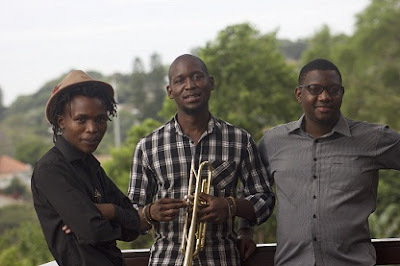 The band started late 2016 when three UKZN music students- namely bassist Charles Mdakane, trumpet player Phuti Mofokeng and pianist Sibusiso Shabalala- gravitated towards each other with a common interest and resonance in musical preferences. The three spent time in the practice rooms for hours unravelling, jamming, immersing themselves in sound - mostly South African jazz- and heading to their respective homes with great delight. They eventually decided to take this delight to audiences and started performing on campus. They realised the music resonated with the audience as much as it did with the trio. The band is constantly exploring other colours of the music spectrum, besides jazz, which happens to be what they study academically. “The audience can expect bliss and a sense of cognitive restoration, some storytelling, musical information and some compelling ideologies, which will send them back home with a broader perspective of modern civilization. Overall an intriguing sonic journey.” says Shabalala. Seaman’s Corner is at Unit 3, Hammarsdale.